It's my pleasure to invite you to our monthly lunch! We'll be meeting at Hacienda Colorado on North Nevada (in University Village, over by the Costco). Come join us for a great opportunity to meet your fellow SQL Server professionals over an excellent meal. To help us reserve enough seats, please RSVP. We hope to see you there! 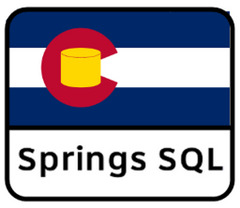 Please note that unlike at our meetings, Colorado Springs SQL Server Users Group doesn't cover the cost of the lunch.